Leyla Godfrey, After the Party, 2018. Archival pigment print, 15 × 15". Clea Christakos-Gee, Motherlines, 2018. 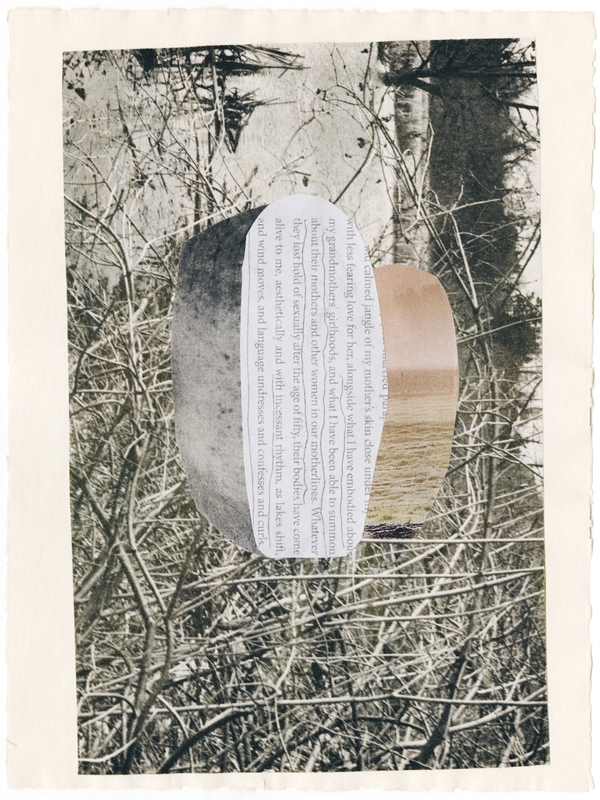 Photo collage on archival paper, 6 × 7". Through photography, collage, and text, artists Clea Christakos-Gee and Leyla Godfrey excavate their matrilineal relationships to foreground the beauty, mystery, and complexity of communication, and art’s capacity as a vehicle for intergenerational transmission. Christakos-Gee examines the creative aptitude that exists in her family across generations: her mother, noted Canadian artist and poet Margaret Christakos; and late-grandmother Mary Jane Christakos, a visual artist and owner of an art supply store. Using the respective artistic materials of both, Christakos-Gee makes new visual and textual assemblages that are presented in dialogue with her photographs taken in her grandmother’s hometown of Sudbury, Ontario. While Christakos-Gee approaches her subject matter from multiple vantage points using a medley of materials, Godfrey’s inquiry is steadfastly photographic and representational. 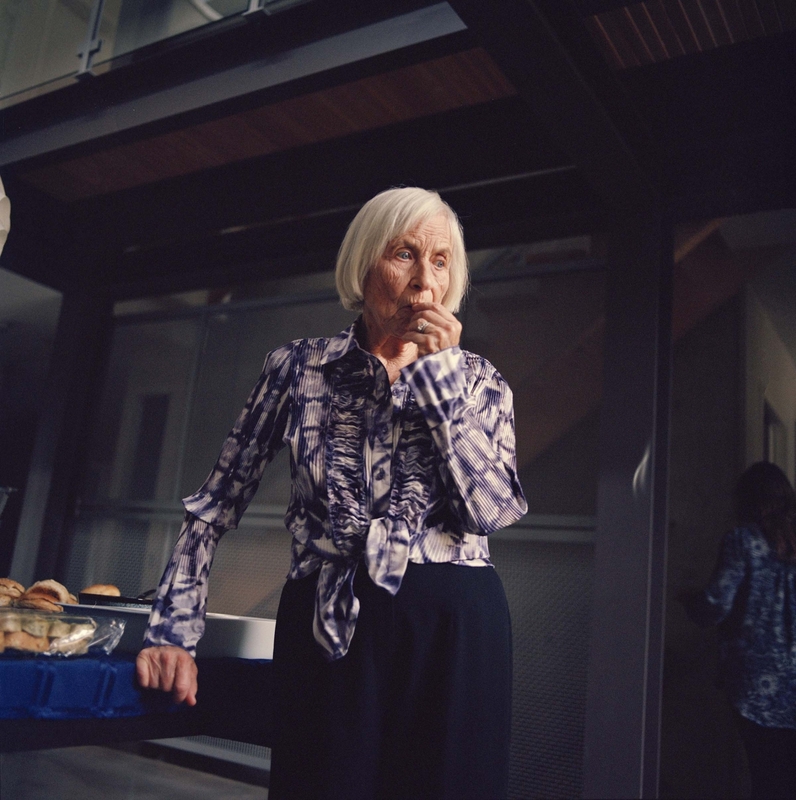 Over the course of many months, Godfrey has orchestrated numerous photographic rendezvous with her grandmother, Disa Adelman. Initially spurred by a mystery surrounding an unspoken secret, Godfrey eventually came to understand her grandmother’s privacy as a strategy for maintaining a form of independence. The result of her repeated photographic probing is a large collection of intensely psychological portraits. Presented together, both artists offer intimate visual schemas that illustrate forms of communication across a range of distances created by time, death, secrecy, and circumstance.